Schneider, an artist perhaps best known as American luminary Adam Sandler’s second-best movie friend, went ahead and gave his advice to Lewis by calling on King’s memory in a tweet: “Rep. Lewis. You are a great person. But Dr. King didn’t give in to his anger or his hurt. That is how he accomplished & won Civil Rights.” The internet was quick to counter, with many accusing Schneider of “whitesplaining” MLK, while others piled on about Schneider’s reputation for sticking to offensive stereotypes when playing characters of other ethnicities. Read the tweets below. 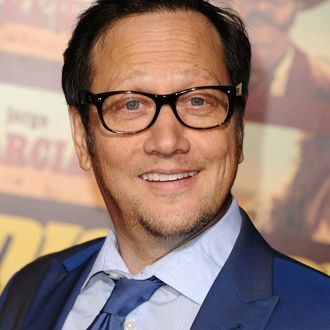 Behind every awful Trump decision is Rob Schneider whispering to him "You can doooooo it"
True story: I started watching Rob Schneider's show on Netflix to amuse myself. I'd watch a few minutes here & there, before going to bed. It's epic awfulness was breathtaking. Just stunning. After a few weeks of watching it here & there, I wanted to see how many eps in I was. I assumed I was 4 eps in. I checked. I was 15 mins into episode 1. It was so bad that it warped space & time. It made the earth spin slower. Anyway, now he has advice on how civil rights heroes should honor Martin Luther King Jr.'s memory. I can't even say "stick to comedy."